This post is the 18th in a series for a graduate course called Theory and Audience Analysis. For the course, I will be posting weekly questions and follow-up analysis about the various readings we are assigned. 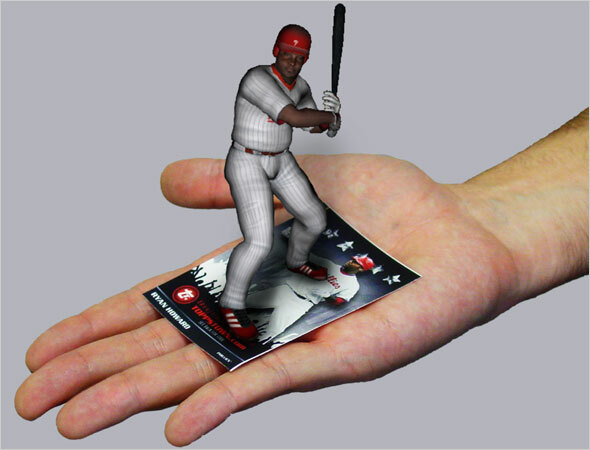 This post is an initial reaction to the topic of augmented reality. Augmented Reality – where digital overlays are put on our real-world physical spaces using camera and computer technology – would seem to have the biggest impact on gaming, advertising and education. The ability of a phone to be able to recognize and interpret real-world information (like Google Goggles) is astonishing. However, while the technology is cool and has a wow factor, it seems to have a way to go in practicality. Education does seem to be an area that should be investing a lot of energy into this technology, but as is with most new tech it seems the game industry is leading the way. The next step in this augmented reality seems to be when will it leave the confines of screen and become projected into reality through holographic images? And Kinect, brings up the interesting idea of when will we not need a handheld device at all? « The environment may be virtual, but the worlds are real.